Asbestos is an extremely durable, fire-resistant material commonly used in buildings before the year 2000. It is no longer in used in construction since its ban at the end of 1999, however, it is often still found in older buildings built before this date; especially in buildings such as schools. Asbestos in its raw form is a fibrous material, and it is those fibres that can be dangerous. If a material is disturbed, these fibres can become airborne and once inhaled they can lodge in the respiratory system and cause a number of health issues. Namely: Asbestosis, Lung Cancer, Mesothelioma. Is Asbestos Likely to be Found in Schools? Unfortunately, yes. There are 29,000 schools in Britain and more than 75% contain asbestos. It is generally found in the ceiling tiles, floor tiles, and the lagging used for insulation on boilers and pipes, but can turn up just about anywhere. Does Asbestos Need to be Removed from Schools? UK Government Policy states that so long as asbestos is managed and is not likely to be disturbed, then it does not need to be removed. In fact, you are encouraged to manage any asbestos for the remainder of the school buildings life rather than have it removed. Planned removal will always carry the risk of the asbestos becoming friable (therefore dangerous). Simply leaving asbestos in place and managing it carries no such risk. Who is Responsible for Managing Asbestos in Schools? The Control of Asbestos Regulations 2012 states that the person responsible for the maintenance of Asbestos is the Dutyholder. The Dutyholder varies school by school. For instance, for Academies and Free Schools it will be the school governors and for Community Schools it will be the local authority. For Independent Schools it may be the responsibility of the Governors or Trustees to manage asbestos containing materials (ACMs). 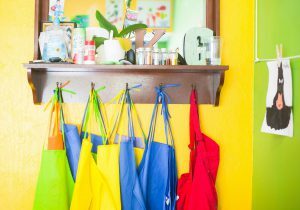 Often, the Dutyholders will appoint external facilities managers (FM) to look after the general maintenance of a School under formal contract. 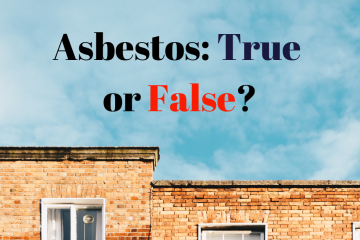 It is in these instances where the duty to manage Asbestos is likely to have been delegated to that FM. This delegation is usually under a general contractual clause to denoting their responsibility to maintain safety standards at the property. A good FM will automatically consider this requirement; however, it is important that the Dutyholder does not assume that their FM has this covered: the responsibility may well be delegated, but liability can never be fully absolved. Do the Teachers and Other School Staff have a Responsibility to Manage Asbestos? In most cases, teachers and other staff will not be directly involved in asbestos management. However, it is important that all staff members are aware of the potential hazards and are advised on what they should and should not do if ACMs are present. 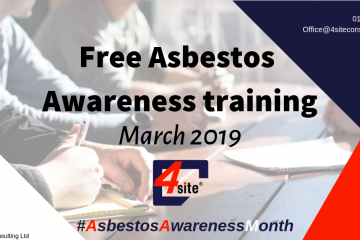 4site Consulting offer on-site Asbestos awareness training tailored specifically for those working within the vicinity of Asbestos Containing Materials. Are Students and Teachers at Risk? Asbestos Containing Materials will generally only cause a risk when they are disturbed, causing the fibres to become airborne. This will usually occur by accident or poor planning during maintenance or construction works, meaning that it is caretakers and construction workers who are likely to be more at risk. 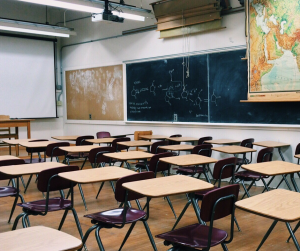 Seemingly benign activities such as pinning items onto walls and ceiling tiles, can disturb ACMs and pose a serious risk to teachers and students. Therefore, it is important that teachers are aware of materials containing asbestos within their classrooms, the associated dangers of exposure and the safe ways of working alongside them. Should Parents be Concerned about Asbestos in their Child’s School? Over 75% of UK schools contain asbestos. Although this figure may seem alarming, it should not cause concern so long as any ACMs are managed effectively. It is the responsibility of the duty holder to undertake an Asbestos Management Survey and have a plan in place to manage this. Generally, schools are renowned for having effective asbestos management systems in place. However, this may not always be the case as complacency towards the risk can often arise over time and through multiple staff changes; therefore it is important to continually maintain knowledge and sustain awareness on a regular basis. As the Duty holder, what do I have to do to Ensure my School’s Safety? The first step as the Dutyholder is to ensure an Asbestos Management Survey is completed which will identify the location, quantity and condition of ACMs. Following this, the Dutyholder should assess the risks associated with the ACMs and put together a plan in order to manage these risks. How can 4site Consulting help? 4site provide comprehensive asbestos surveys that not only clearly identify the location and condition of all ACMs, but also provide advice on any immediate action required, along with recommendations for ongoing management. All 4site Consulting’s Asbestos Surveyors hold extensive experience and qualifications. They are also directly employed by us (never sub-contracted) to ensure consistency and quality of reporting. Our reports deliver clear, concise and relevant advice and we go the extra mile by providing online interactive management that is completely free of charge. Contact the 4site Team today for further advice!